If you wish to submit historical information, please email Joe Whitten at whitten93@gmail.com. You may call our offices for Mr. Whitten's phone contact information. 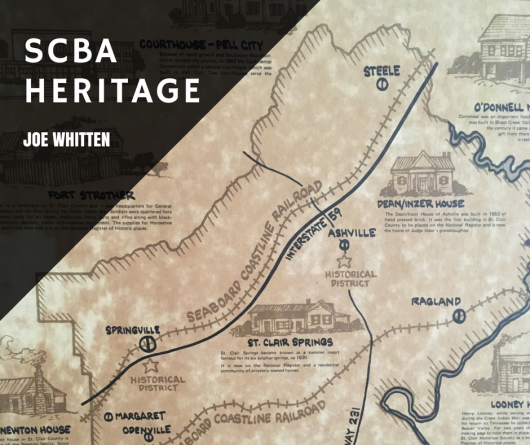 The St. Clair Baptist Association was known as the Cahaba Valley Baptist Association until 1898. 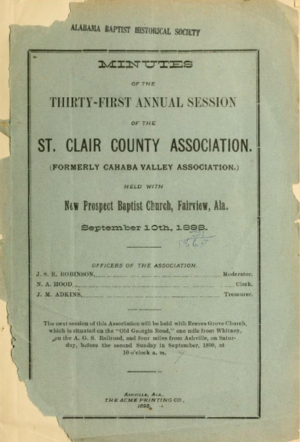 The Cahaba Valley Baptist Association held its first meeting in 1867. You may find a copy of the third meeting's minutes (1869) and other meetings here. Below is the first listing of pastors and churches in the renamed "St. Clair Baptist Association" from 1889. We are indebted to Joe Whitten, Deacon at First Baptist Church, Springville, Alabama for these historical articles. 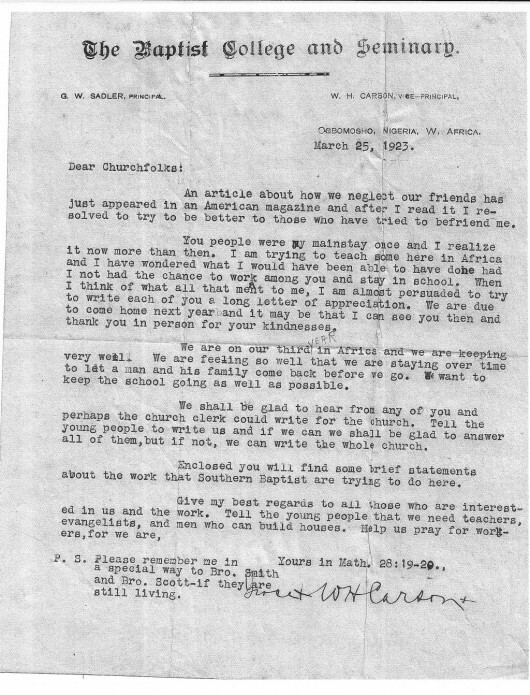 Below is a letter addressed to the First Baptist Church of Springville from pioneer mission to Africa, Rev. W.H. Carson. Carson served as pastor of First Baptist Church, Springville. He was among many faithful pastors serving in St. Clair County. Read more about Carson's service in Africa here. Read more current missionary stories from SCBA affiliated missionaries.